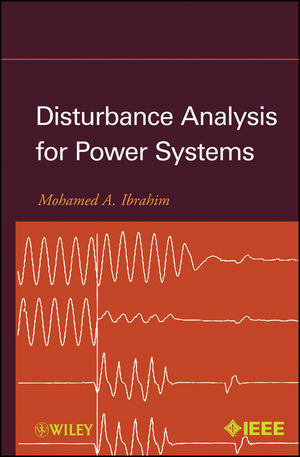 Based on the author's four decades of experience, this book enables readers to implement systems in order to monitor and perform comprehensive analyses of power system disturbances. Most importantly, readers will discover the latest strategies and techniques needed to detect and resolve problems that could lead to blackouts to ensure the smooth operation and reliability of any power system. Throughout these case studies, actual digital fault recording (DFR) records, oscillograms, and numerical relay fault records are presented and analyzed to demonstrate why power system disturbances happen and how the sequence of events are deduced. The final chapter of the book is dedicated to practice problems, encouraging readers to apply what they've learned to perform their own system disturbance analyses. This book makes it possible for engineers, technicians, and power system operators to perform expert power system disturbance analyses using the latest tested and proven methods. Moreover, the book's many cases studies and practice problems make it ideal for students studying power systems. MOHAMED A. IBRAHIM, PE, is a registered Professional Engineer in New York State. He is a Fellow of the IEEE for his contributions to the field of protection and control. Dr. Ibrahim has held positions at Helwan University, Mansoura University, and Polytechnic Institue of New York University. He lectured at Auburn University and Washington State University. Dr. Ibrahim retired in 2004 as the director of protection and control at the New York Power Authority to become a consultant, forming his own company. He is the author or coauthor of twenty-five technical papers on computer relaying and protection areas.